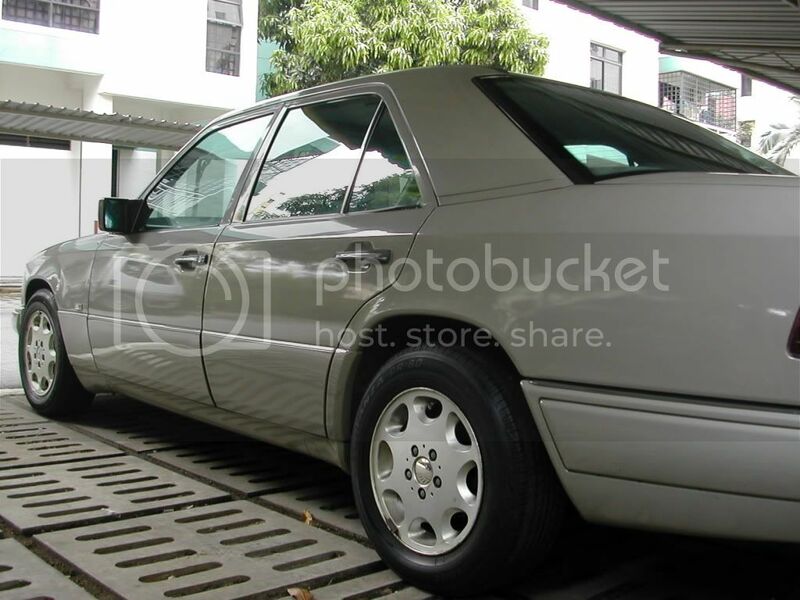 Ive always liked the W124's timeless design and have heard greatly about its build quality and reliability from many friends and family who have owned it before. However, rumours of extravagant repair costs and spare parts of continental cars have always kept my family from foraging into these gorgeous cars. The only time we touched a continental car was an Opel Omega estate from the mid nineties and was heavily burnt by its depreciation and horrendous reliablity no thanks to the terrible dealership of that time. 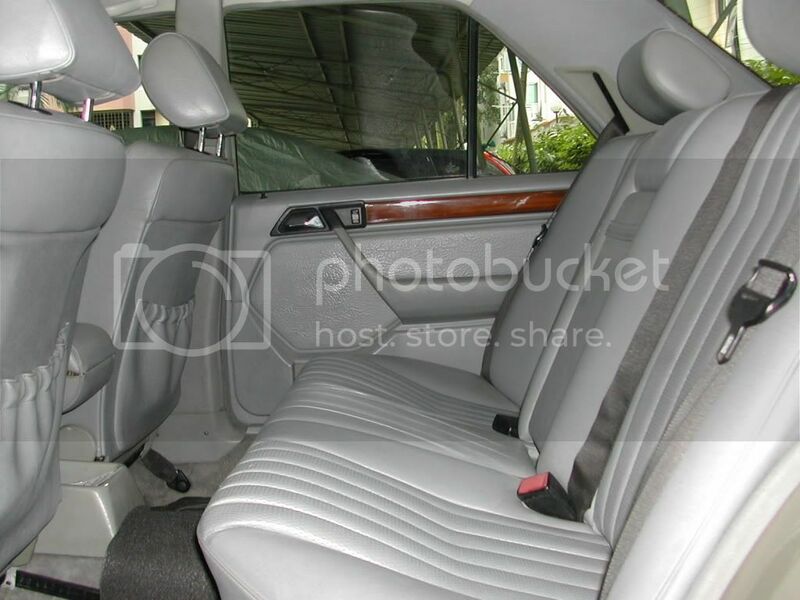 It was only after much research online and talks with various mechanic and car dealer friends that a W124 200E was considered for a replacement to an ageing and gas guzzling Mitsubishi. And so in 2007, a budget of less than 10k was set aside to find the cheapest but reasonably sound 200E. 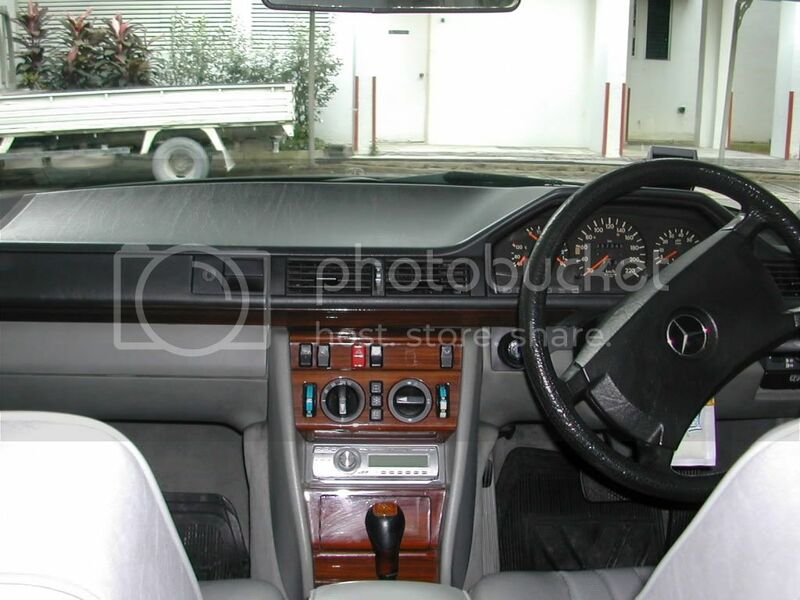 Yes i know, the cheapest Benz isn't exactly the cheapest in the long run but most W124s at that time were still commanding a pretty high price and most did not have any history whatsoever. 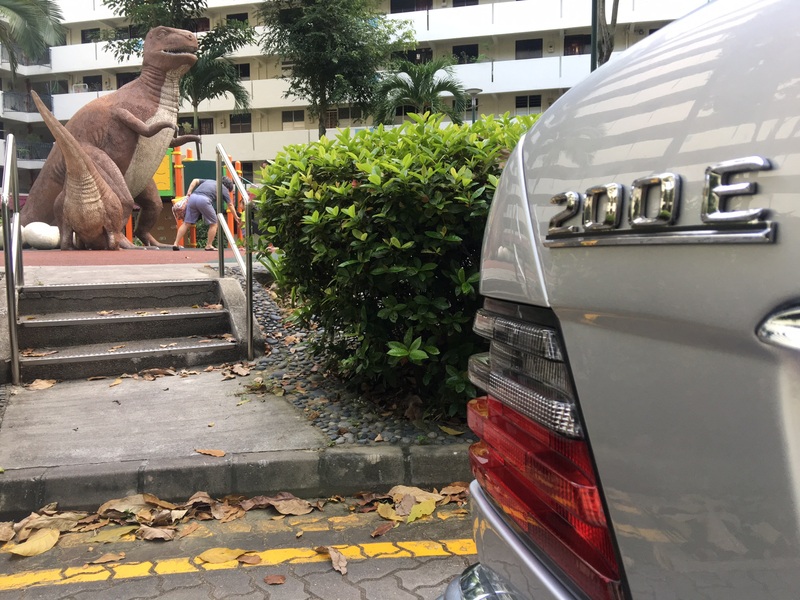 So rather than mucking about to get a high priced one, and then get disappointed later with the condition of the car, we took it upon ourselves to rescue an ageing W124 and restore it from scratch. We also sourced suspension components such as shocks, tie rods, new engine and transmission mounts a replacement exhaust manifold and flex disks for the mechanic to replace all at one go. Brand new headlamps were also ordered as the old ones had broken reflectors. The door cards were also rattling away as the clips had broken off and the only thing holding them to the door were pieces of foam tape. The car was stripped on a saturday afternoon and all the clips were glued back using 3M and Locktite superglue gel. A pair of secondhand sunvisors were also ordered down from the USA for around a hundred bucks landed in Singapore as the foam had degraded away in the old ones. The car handled much better after all these repairs were completed, ride quality has improved tremendously and for the first time, we felt how good the suspension on mercedes cars are. It was definitely cooler too :clap: however, our pockets had a much larger hole in it but we took it in stride as it was part and parcel of buying an old car. One fine morning while driving to work, the merc started to feel strange. Power steering was sluggish, the windows didnt really go down fast enough and the car had difficulty starting up after parking. By the afternoon, the car had barely any juice left to crank but it did! hooray!!! and it made its final trip to the mechanic's garage before dying there right at the entrance. 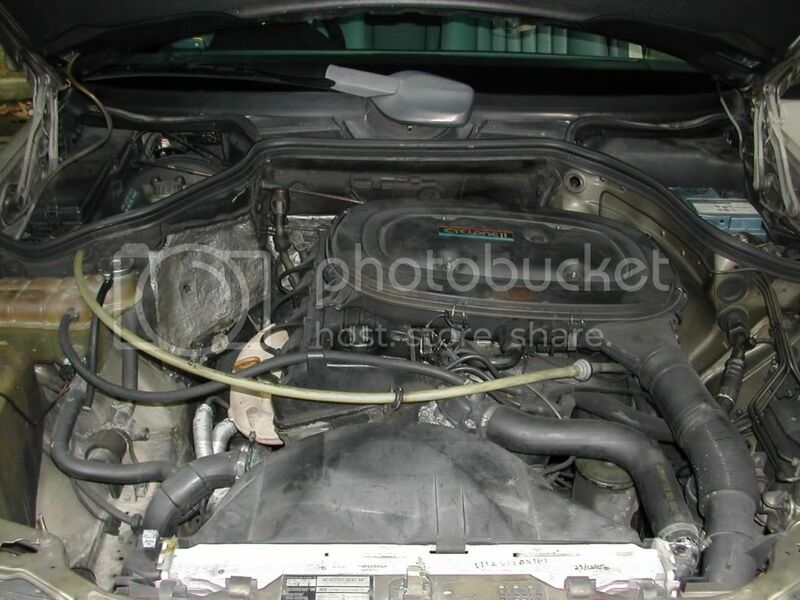 The battery didnt have any juice left as the alternator had died and was not charging it up. Somehow, water from the radiator was leaking through one of the pipes and onto the alternator which destroyed it. After a new alternator was installed and the leaking piped replaced, the car was back to normal again. As we used the car more and more often, we started to notice that the radiator had to be regularly topped up. Almost too regualarly in fact and so we brought it down to our trusted mechanic to find out what was wrong with it again! The radiator had been changed by the previous owner less than a year from when we took over and hence we did not suspect it to be the problem. After changing the coolant hoses, the problem still persisted and a new Behr radiator was promptly installed. At that point of time, we were also informed by the mechanic that oil from the engine was leaking through the headgasket and into the radiator and as such, the engine needed a top overhaul to run smoothly again. We were told that the new radiator on the car was a give away clue, that the car had overheated under the care of the previous owner which damaged the headgasket. However we did not know that when we bought the car and had to pay a hefty penalty of nearly 1k for our negligence. Towards the end of 2008, the COE was about the expire and we faced the difficult decision of renewing it. After spending a few grand on the car already, more work still had to be done. The car was starting to turn into a money pit and we started to question whether or not it was worth it. However a quick search on Sgcarmart and the classifieds for cars below 30K came back with rather uninteresting and bland japanese and malaysian cars. 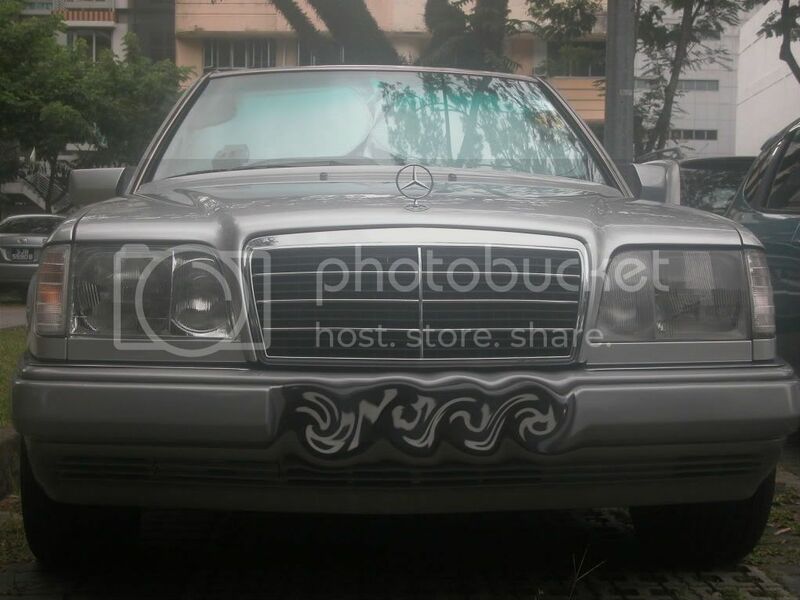 This together with the build and ride quality and most importantly safety of the W124 as well as relatively cheap COE at that time of 13k led us to bite the bullet and pay for the mercs new lease of life. PS. I have yet to compile a spreadsheet of the repairs i did and the costs involved but once i do, ill post it up here so that itll be abit more imformative for fellow enthusiasts. 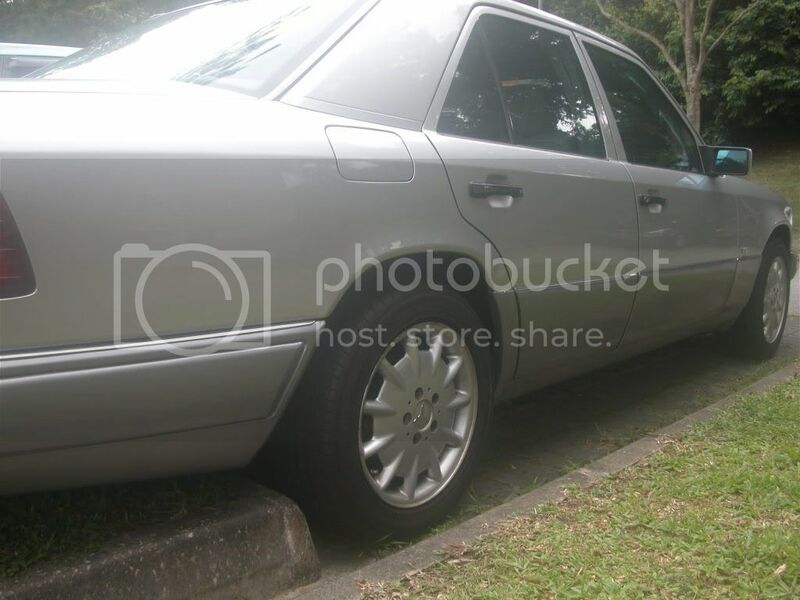 I must really :iconsalut: u for all the efforts put into the car. the frustrations u must have felt when problem after problem appears. the patience put in to lovelingly restore this ride can only be found in enthusiasts. Thank you for sharing your ownership experience. 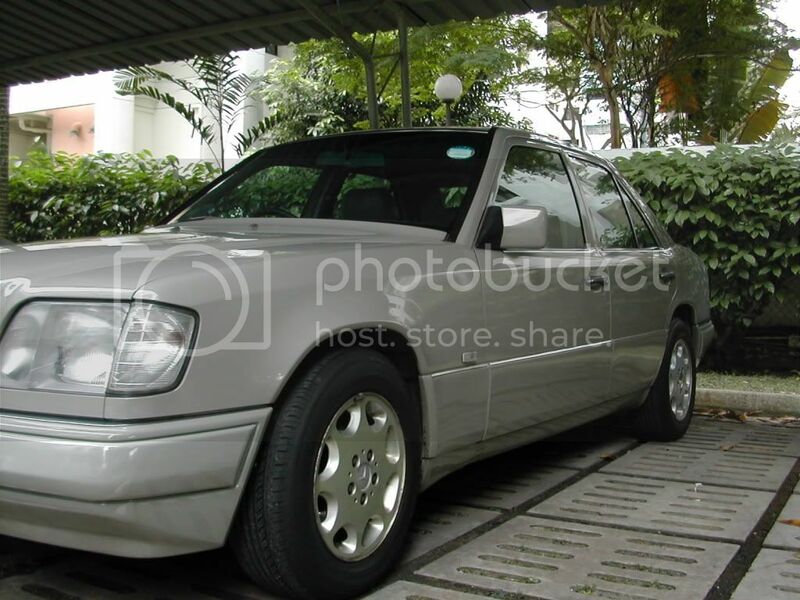 I am sure your article will inspire many a W124 owner to take up the challenge of restoring their respective rides. A timeless beauty that is the W124 which drives and looks fantastic certainly doesn't happen overnight. March on! despite the numerous (expensive) problems, i'm sure you had fun through this process! i am sure i will too! hope you have fun! Thanks for the feedback guys. Yes it definitely was fun and satisfying to see the car turn from something rather beaten up and old into a beautiful one. The Merc really looks like a 'towkay' car now and most people think its still a very expensive and prestigious motor. The best bit about the car is that it costs less than a China car even after all the repairs and new COE. 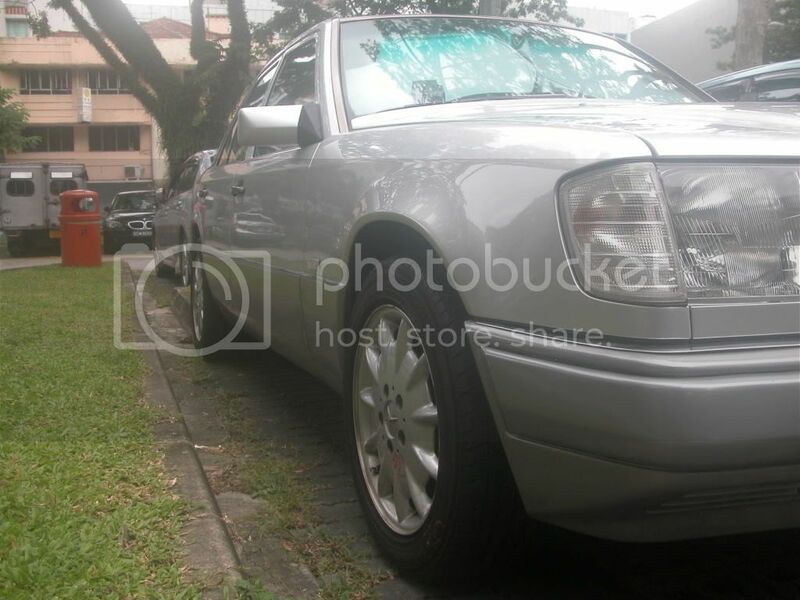 I hope more people will see that the W124 is a car thats worthwhile to keep and maintain despite the slightly high repair costs and not leave them to rot away. It must have been a tedious process in sourcing for broken down parts for your cars. I guess one of the most extreme task is to source for parts and look for good workshop for installation when it must be "Good Workmanship, Reliable Parts and Cheap". I really must salute you for being able to do this for your ride because I myself, find it quite difficult to look for parts, even basic mods. i really salute u bro. :thumbsup: nice bumper. dun mind me askin where u get ur parts? i kinda in need of some parts like air-con fan/motor and front bumper. For mechanical parts we go down to Gallop auto parts http://www.gallopauto.com/. They are pretty cheap and very professional. Give them a call before you go down so that they can prepare the parts before hand. It will also be good if you have the part no. for parts that are difficult to describe or differentiate so that you do not get the wrong piece of equipment. I got my updated bumpers from Sing Tat auto at Selegie House as well as door seals. You can also go down to Tye Soon at waterloo street which is very near to Selegie house for most parts and they should be cheaper as well being one of the main stokists of Merc parts. 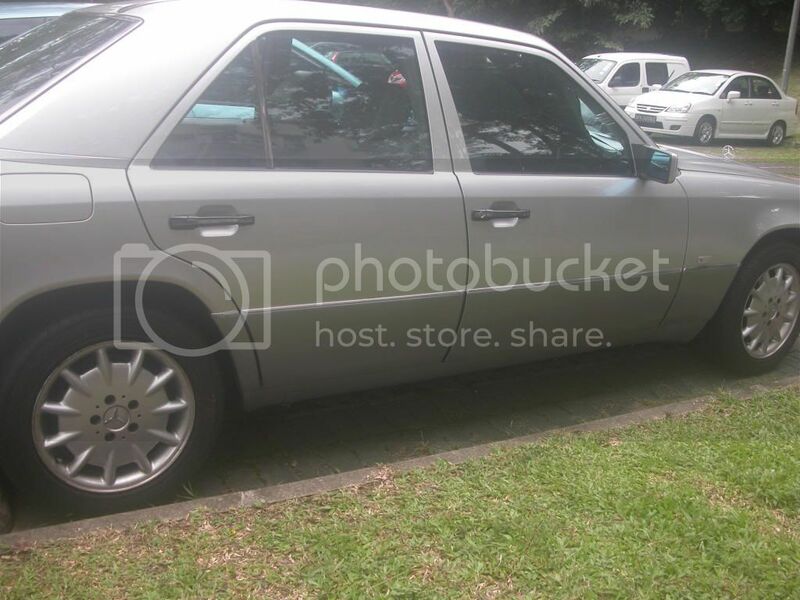 If your wallet is abit thin, you could even try Propel http://propel-auto.com/home.php which is a scrap car dealer in kranji and find updated bumpers in good condition from scrapped cars which are already painted and may match your car's colour. The good thing about the W124 is that original parts are very easy to find since so many were produced in its production span. Parts to modify on the other hand are abit more difficult since most of the w124s here have only the M102 4 cly engines and modification parts are catered for the larger M103. dis anymore,the last of the over engineer car,blah blah blah. Their understated beauty, outspoken elegance, evident stateliness and solidity, pursuit of perfection and the accompanying underlying power all spoke to me . & I gotta get one. ONE owner,nearly fell off my chair! When I drive off from dealer,tot I will horn @ & been flash along the way but well,it can keep up with traffic. he told me,dat era the accelerator pedal is connected with a cable unlike now its all drive by wire. and dis type of cars are own by huge Germans. to get it to shift & in between dat,it was Loan to MediaCorp for a local film the fifth floor,can see in toggle. 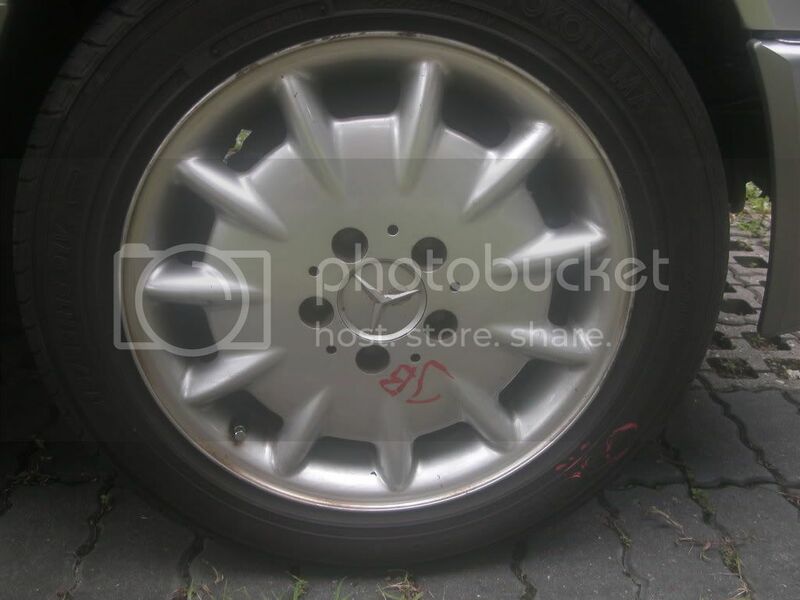 Most 200E in sg carmart have 6 or more than 6 owners ,so as u can see,it got my name on it,from day one. its in the paint shop for a change in Color. Most 124 in dis era ,come with 2 tone paint & mine no ,dun fret,lets sort dis out. U might not have see me but I'm grinning from ear to ear. 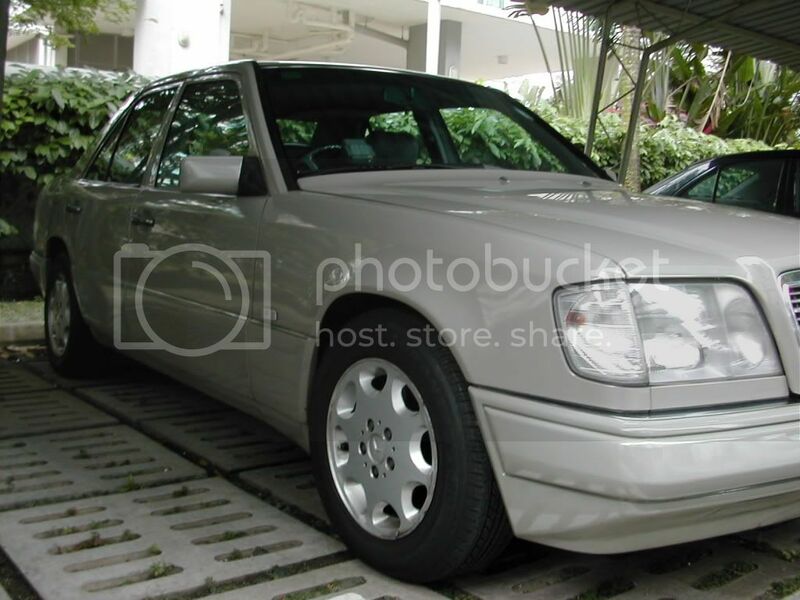 Reading this article makes me miss my 2 X W124. Code name "THE TANK" ! 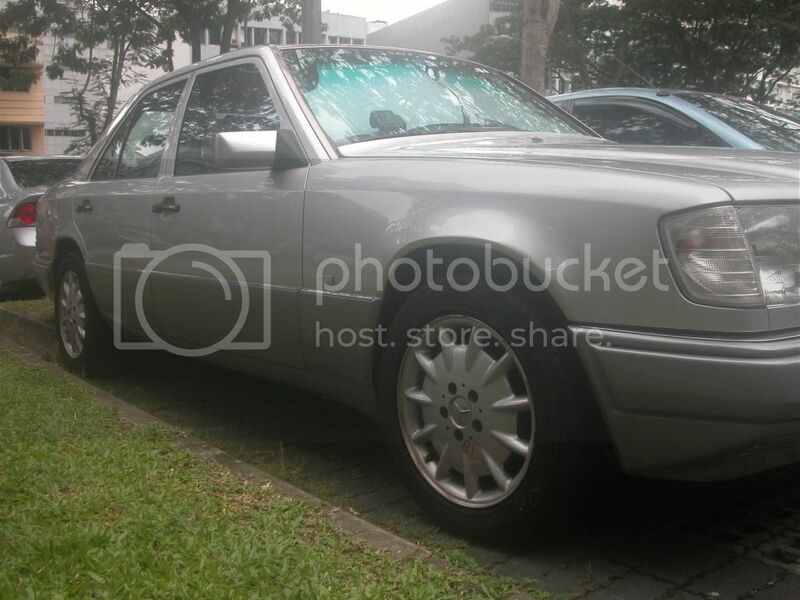 Glad that there are still people interested in such an old Mercedes in Singapore. Do join us on the W124 facebook forums for interesting posts and trivia as well as tips and tricks to keep the car running. 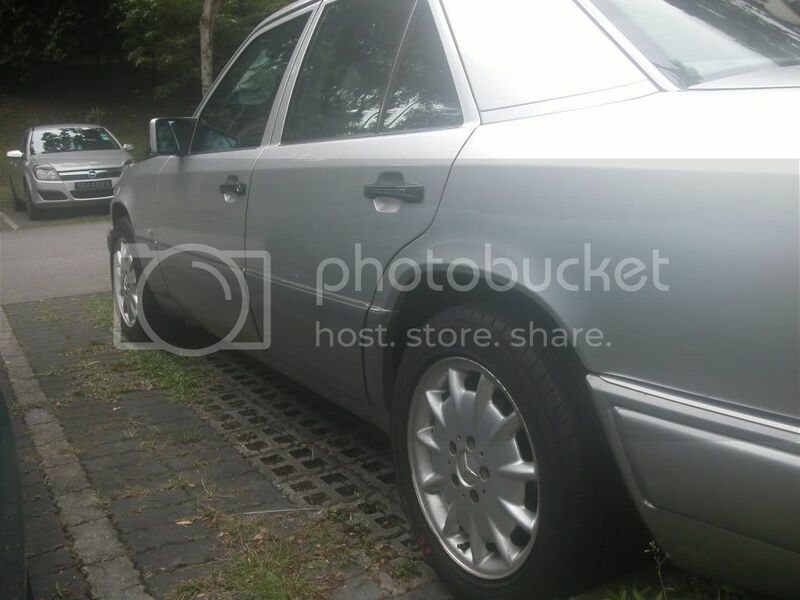 I am still driving my W124 after more than 10 years. Its abit battered at the rear from a few accidents but none of which left me injured. Alot more has been done to keep the car running including 2 cooling coil replacements, 2 compressor replacements, an entire aircon system overhaul, 2 engine top overhauls, 1 transmission overhaul, 2 entire undercarriage refreshes and many more Im sure I have forgotten. Still fun to drive and and work on. I have also DIYed some goodies over the years such as ipod connectivity, an upgraded sound system, rear electric roller blinds, original side window blinds, masterpiece door sills, leather sports steering wheel, W220 leather short shifter gear knob and dual electric mirror upgrade. 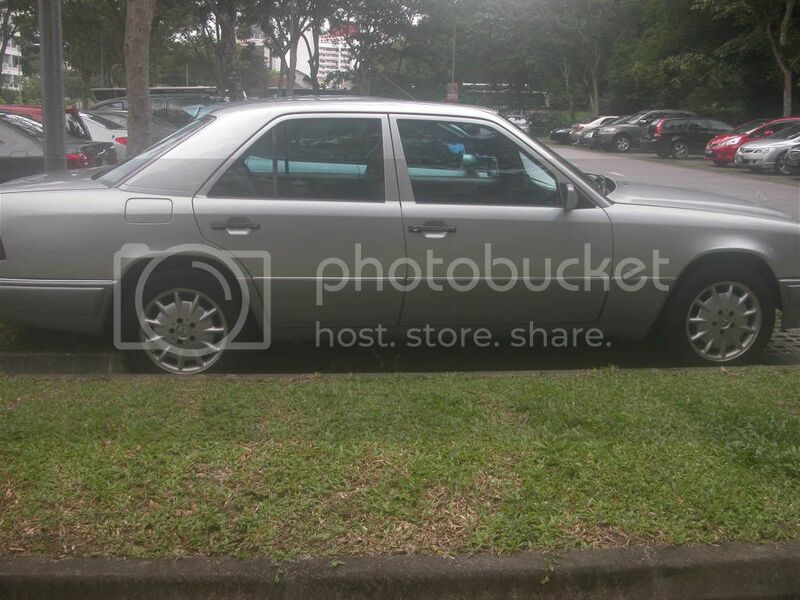 Juzz the other day,when going to TTSH @ the lights ,a couple commented,WOA a classic,nice car,Dey said to me. i give them a thumbs up. 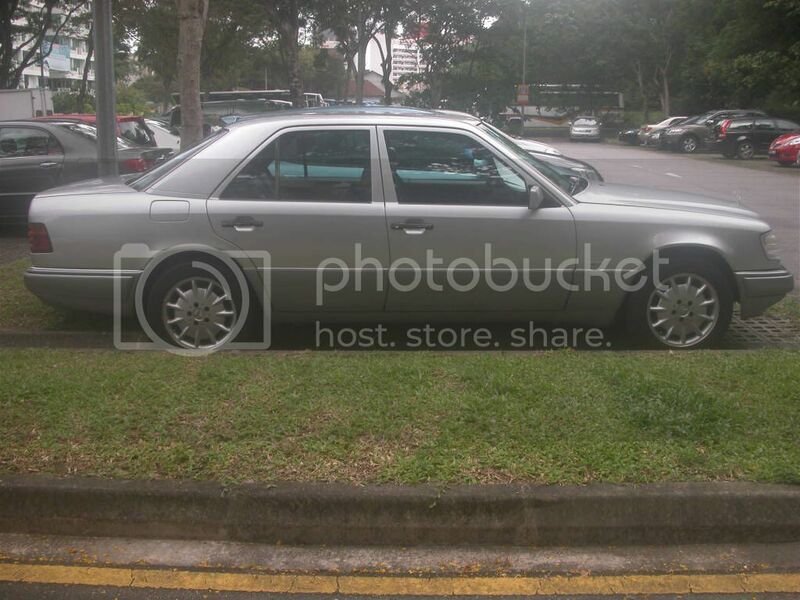 Later I drove in to the taxi stand,abt 30 ppl stare in awe,apparently i’m the only car,no cabs,no nothing. ppl finger pointing,couples turn their head & whispering something to their other half. actually,I feel good for the whole day!